Once Upon a Twilight! : “The X-Files” – The Collector’s Set out December 8th! 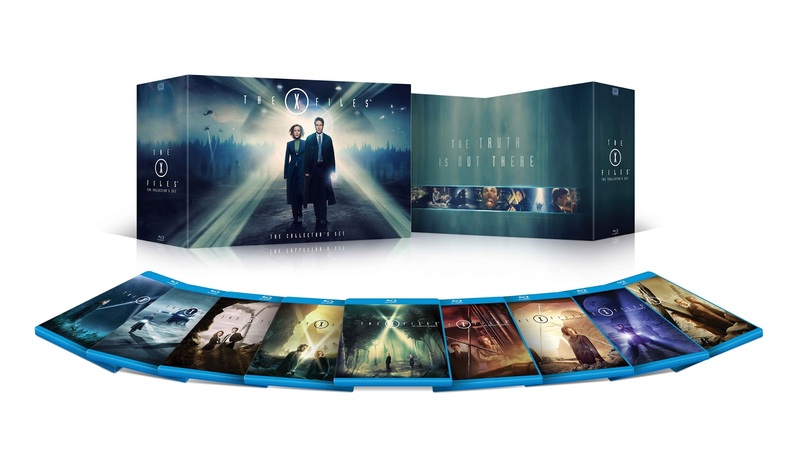 “The X-Files” – The Collector’s Set out December 8th! The truth is out there…and now it can be found in its entirety when Twentieth Century Fox Home Entertainment exposes the complete world of “The X-Files” on Blu-ray for the first time – just ahead of the event series premiere Sunday, January 24, 2016. “THE X-FILES” THE COLLECTOR’S SET – featuring a slot for the upcoming six-episode event series – releases on December 8, giving fans the chance to own a piece of television history and one of the year’s must-have giftset collections. Fans can also purchase each season individually on Blu-ray on December 8. Since its inception in 1993, “The X-Files” has remained a worldwide phenomenon, garnering a loyal cult following, 16 Emmys® and five Golden Globes® Awards, including “Best Dramatic TV Series” during its nine-season run. Now for the first time, all nine exhilarating, groundbreaking seasons of “THE X-FILES,” along with special features, can be yours to own on Blu-ray! Although they began as reluctant partners, FBI special agents Fox Mulder and Dana Scully (Golden Globe ***“Best Actor and Actress in a TV Series, Drama (1997) ®*** winners David Duchovny and Gillian Anderson) ultimately form a powerful bond as they struggle to unravel deadly conspiracies and solve paranormal mysteries. R.W. Goodwin, Rob Bowman, Kim Manners, Frank Spotnitz, Robert Patrick and Rod Hardy. Fans can pre-order the collection and individual seasons at www.x-filesblu-ray.com.